Every so often, you hear an album and say "yep, this is the one I'll be addicted to for a while." With Charly Bliss, I've been into them ever since I first tripped up on "Ruby" however long ago. This debut album gives some sleek production to the sometimes power-pop, sometimes 90s alt-rock record that dominated by listening all year. It's not so serious in comparison to Diet Cig - lyrics about smoking bad weed and accidentally peeing a trampoline don't necessarily have the same gravitas - but it more than makes up for it with a party-like atmosphere and having hooks for days. I won't even do a "songs of note" for this one because they're all so amazing: "Westermarck" with its great instrumentation, "Scare U" being a straightforward rock radio play, "Black Hole" being that sort of confessional song that makes you fall in love with a band over and over. 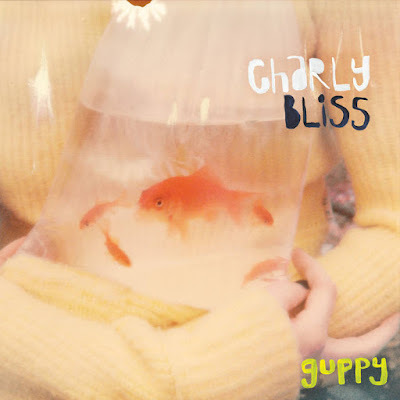 I definitely had a musical type this year, as my top 10 list shows, but I also don't think there's an album I heard this year that I wasn't saying "man, I wish this was as good as Guppy." If you missed this the first time around, now is your chance to hear the best record released this year with a few weeks to spare. It's nearly perfect.